Aston Barclay vendors can now control and manage their auctions in real time remotely from anywhere in the world through a new app. The new app enables vendors to send a direct message to the auctioneer during a sale. 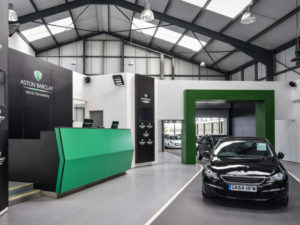 Launched as part of the second phase of the group’s digital technology roll-out to customers following an MBO last year that brought multi-million pound investment, the app features a vendor mode that can be activated as soon as vehicles are offered for sale. This enables vendors to send a direct message to the auctioneer during a sale to accept a reserve bid, or to answer a buyer question. Real-time sales data is also planned for roll-out in phase two later in 2018. The app also enables vendors to target buyers with push notifications and also debuts the first phase of video messaging with pre-recorded messages played to buyers when their app is opened.